An old post, in which we warned that patience of ######### of friendly states was wearing thin .. The fiasco that accomapnied President Al Bashir’s late arrival in Beijing following his plane retouring has dealt another blow to the regime’s futile attempts to improve its image. By insisting on taking overseas trips, President Al Bashir is not only embarrassing himself, but also the few friendly countries our country has now, and the entire nation since, whether we like it or not, he is the head of state. 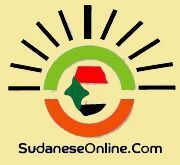 Al Bashir and his current government are living in a state of denial. They refuse to admit that he has become a pariah on international level and a heavy burden on the local level. Traveling abroad just for the sake of defying ICC charges can never be the right solution to the quagmire situation Al Bashir and his regime have put themselves in. A temporary, yet more practical solution for the time being is to stay home and wait for a miracle that could come with the turn of events. A very good example here is President Robert Mugabe of Zimbabwe. He is being demonized by the West as a ruthless and oppressive dictator. Yet, he is not facing charges of war crimes, he has not been involved in any civil wars in his country, his country is not on the infamous list of state sponsors of terrorism. Given all that, President Mugabe is free to travel abroad, but he prefers not to do that or to limit his trips to the minimum possible because he doesn’t want to embarrass himself or his people. Another example is the former President of Iraq Saddam Hussein whose last trip abroad as a head of state was in the 80s. The question is; why Al Bashir insists on those trips with all complications they lead to? The answer is obviously that no one among his lieutenant s enjoys the common sense, wisdom or courage to tell him that such a move will have a damaging effect to his attempts to cling to power. The friendly states will no longer accept to jeopardize their reputation and will reach a point where they could be able to clearly tell him that he is a persona-non-grata and that he is not welcome anymore. So, Mr. President, it is up to you to make a fool of yourselves, but please stop making us the laughing stock of the world. 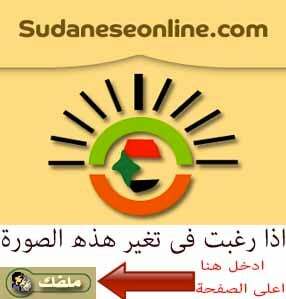 Get out from that state of denial and start to face your problems head on, without getting us, the innocent people of Sudan, involved.